75% fish. Just completely natural ingredients, lovingly made with 55% tuna & 20% prawn. 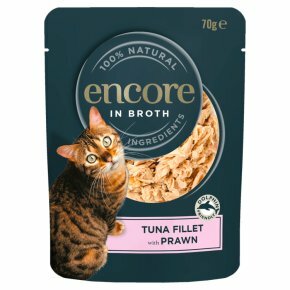 Encore Tuna Fillet with Prawn Cat Food contains nothing more than the 4 ingredients listed and is a completely natural complementary pet food for adult cats.